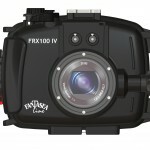 We are proud dealers of the Fantasea Range of underwater photography equipment. Fantasea products are sturdy and well made. They’ve been designed by underwater photographers with great attention to design, ensuring that undewater photographers have everything they need to take really great photos. 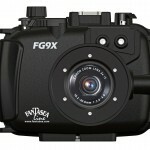 There is a Fantasea housing for all the top compact cameras suitable for underwater photography. Every function on the camera can be used with Fantasea housings and security comes in the double o-ring system and audible and visible lead detector system. 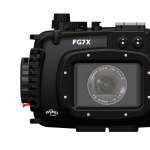 Fantasea have a wonderful range of very sharp macro and wide angle lenses and are well worth considering. We’ve been using Fantasea products since 2015 and are very impressed with how well designed and easy to use they are. They are also very competitively priced. If you are looking to widen your field of view, Fantasea have designed a very crisp Wide Angle Wet lense and for macro photographers, there is a choice of three macro diopters of different strengths. We use them all, ourselves, and are very impressed with the corner to corner sharpness that all lenses give. All lenses mount onto 67mm threaded port lenses or by using a Fantasea adaptor and can be installed and removed during the course of the dive. 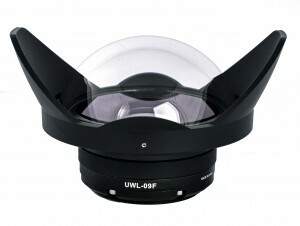 The Fantasea-AOI UWL-09F is the finest wet wide angle conversion lens available. Built from quality materials and featuring the most impressive optic specifications, the UWL-09F delivers stunning unmatched results. The UWL-09F wet wide angle lens provides an exceptionally 130 degree angle field of view and a zero minimal focus distance, allowing you to shoot breathtaking wide angle and close focus images that are super sharp corner-to-corner and great on the details. It is perfect for a wide variety of compositions, including seascapes, divers, wrecks and schools of fish, without moving further away from the subject, thereby still taking full advantage of water clarity and artificial light sources. The lens mounts on the housing lens port and can be installed and removed during the course of the dive. It can be mounted on 67mm threaded lens ports and other dimensions by using an adaptor. All lenses are perfect for shooting close-up images of tiny creatures, fish, corals, textures and more. The lenses mount on the housing lens port and can be installed and removed during the course of the dive. They can be mounted on 67mm threaded lens ports and other dimensions by using an adaptor. Every lense barrel is made from durable aluminum alloy with black hard coating. This coating protects the exterior of the lens, protecting it from easily getting scratched or damaged. During development, the lens was thoroughly tested in extreme conditions (depth, temperature, salinity and radiation) to ensure resistance and durability in the long run. Every lense features a 67mm thread mount, compatible with most housings available in the market today. Perfect to be used with compact, DSLR or mirrorless housings. The base of the mount allows divers to use the lens with most lens holders, adaptors, bayonet mount converters, flip mounts and quick release adaptors. 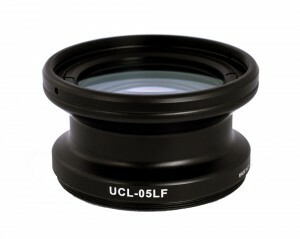 The UCL-05LF is a quality wet macro lens with a +6 diopter. It magnifies the subject and enables the camera to focus short distances, creating sharp, detailed and impressive images. UCL-05LF is a super sharp lens which consists of quality AR (anti-reflection) multi-layered precision optic elements (4 elements organized in 3 groups). Images captured with the lens are detailed and extremely sharp on the corners. Professionally engineered elements eliminate chromatic aberration and the AR coating on all glass elements assists in avoiding undesired reflections from the sun or artificial light sources. 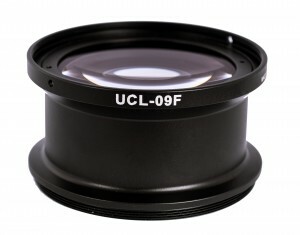 The UCL-06LF is a quality wet macro lens with a +12 diopter. 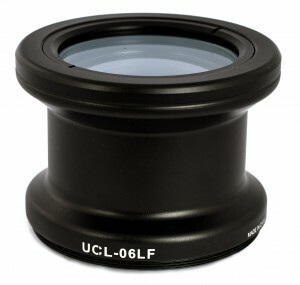 UCL-06LF is a sharp lens which consists of quality AR (anti-reflection) multi-layered precision optic elements (6 elements organized in 4 groups). 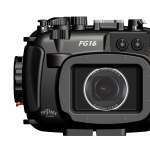 The Fantasea-AOI UCL-09F is the finest wet super macro lens available. It is an ultra sharp super macro lens offering unmatched quality with 5 multi-layered precision optic elements (organized in 2 groups). The AR (anti-reflection) coating on all glass elements assists in avoiding lens flare from the sun or artificial light sources. Images captured with the lens are exceptionally detailed and sharp over the entire frame, including the images outer edges. A powerful +12.5 diopter provides great magnification with unlimited opportunities for image framing and creative use of depth-of-field. Professionally engineered elements eliminate chromatic aberration.